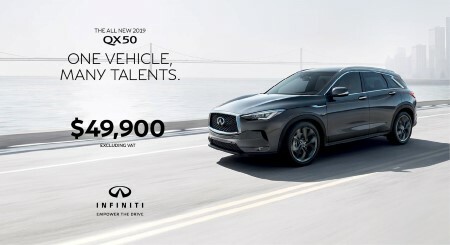 OFFER DETAILS: QX50 is available for $4,000 less for the Luxe Grade and $5,000 less for the Pro-assist Grade! No. The one in the ad is more equipped and more expensive. The entry level QX50 is smartly priced v/s the Audi Q5 or the BMW X3 which are considered within the same segment. The features list is quite generous, but you will notice that many features available on the second grade are a must have in a luxury vehicle, which could be a bit frustrating for buyers that are not ready to shell an extra $15,000 for the second grade. 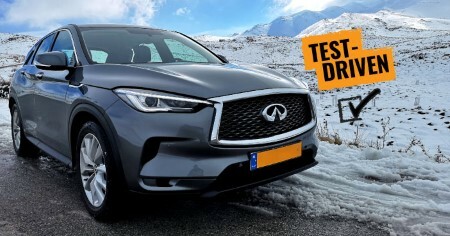 Make no mistake however, if you can afford the Luxe Pro-assist, you'll have no second thought about going for it due to all the nice additions it offers, making that jump worth the price. The top of the line model however, will look better on the exterior and you'll feel better inside. If you're already spending $75,000, why not spend an extra $8,000 and pamper yourself?